1) Sit in an easy pose with an erect spine. Make the right hand into a fist with the thumb up. 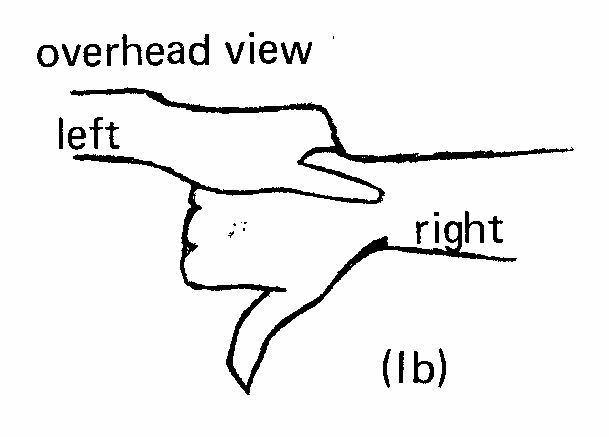 Grasp the fist with the left hand and press the right thumb into the navel point. (la & Ib) Then begin long deep and slow breathing. 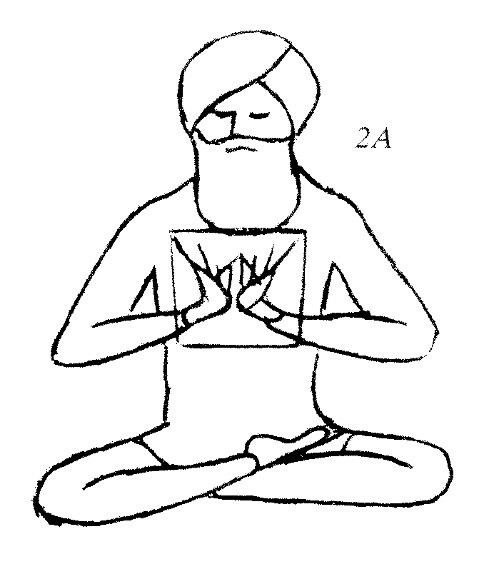 Concèntrate on the flow of the breath and feel the pulse of the breath go between the navel point and the root of the nose. Measure the breath along this path. Continue for 11 minutes. 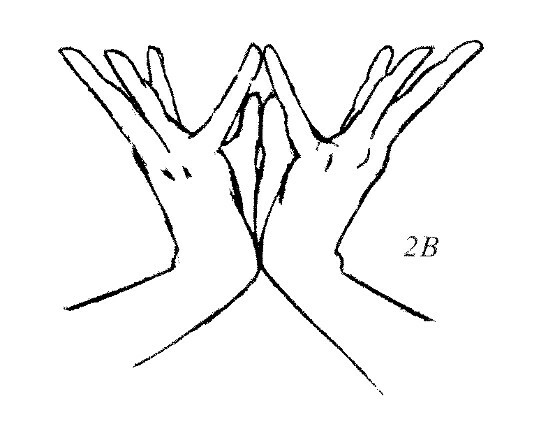 2) In the same position, make a lotus mudra with the hands 4 or 5 inches in front of the heart center. Begin long, deep and slow breathing. Focus your eyes down on the thumb tips. Feel the exhaled breath touch the thumbs. Continue for 11 minutes. 3. 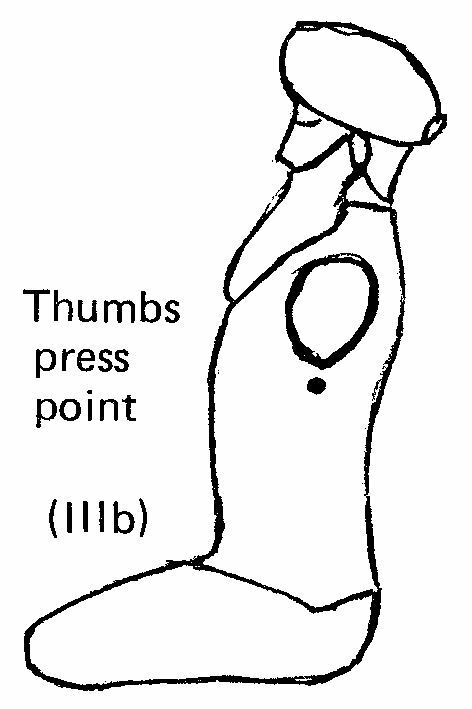 In the same position place your thumbs under the arms at the sides. There is a nerve there that should be pressed. 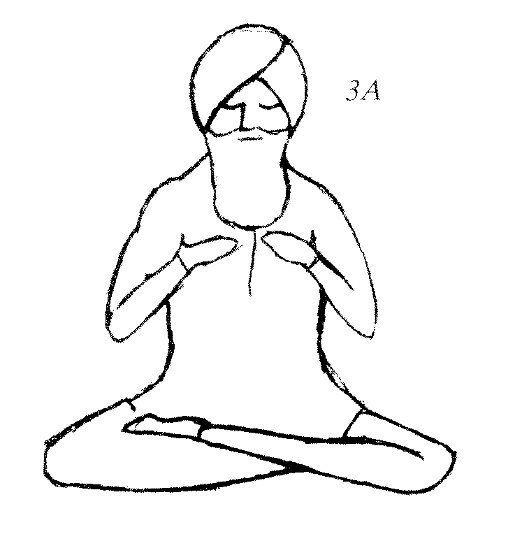 The hands are on the chest with the palms toward the body. (Illa & IlIb) Inhale deeply through the mouth with a whistle. Listen to the whistle and mentally hear the mantric sound, “So.” As you exhale throught the nose, mentally hear the sound “Hung.” The mantra means “I am that infinite.” Continue for 11 minutes. All of these exercises are to balance the frequency and quality of the heart center. It is a most important center that opens the potentials of compassion and humility. Man is now going through a global transition. He is preparing to have kingship over the service of the universal force. There are two ways of earning the universal consciousness: through hardship and time or through mantra. Mantra is the easier way. The difficulty is that mantra opens the heart center and your mind has difficulty following its frequency since its habit has been very different. In this state you realize man creates his own suffering by not recognizing and living the essence of self which is truth. 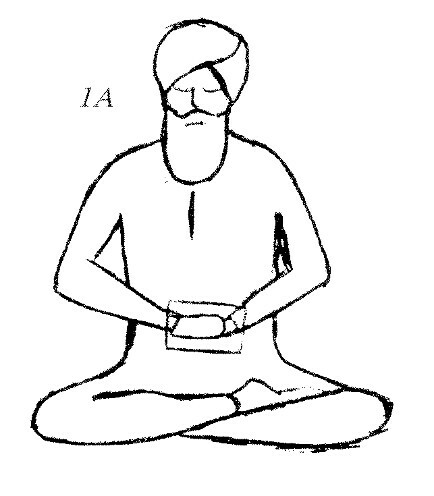 In these meditations the mind is focused into the channel of the heart.